2400.00 sqft. - 8560.00 sqft. Ideal Exotica provides a serene setting for a modern way of life. A complete project that caters everyone's expectations and instil new confidence to celebrate the beautiful festival called life. It takes you into a completely new world of tranquility where, peace of mind will be the most precious gift. Ideal Exotica is occupied with the ultra-modern facilities, every corner of the project is designed with the best quality products, and each apartment is spaciously unique in its own way. Relax at the beautiful environment or mingle with like-minded friends, your home here at Ideal Exotica will fill your heart with joy and pride. New Alipore is a planned residential suburb in the city of Kolkatta. It is well-connected with all the parts of Kolkata with frequent and extensive bus services, and other common modes of transport like taxis, auto rickshaws, cycle rickshaws, trams and metro railway services. Tram services are the inheritance of the Kolkata which gives every opportunity to explore all the hidden heritage of the city. New Alipore is flanked by the Tolly Nullah to the north, Bhowanipore to the east, the Diamond Harbour Road to the west and Alipore to the south, bordered by the Sealdah South section railway line. Linked by the Majherhat and New Alipore railway stations on the Budge section of the Kolkata Suburban Railway and Kolkata Circular Railway, the other nearest metro stations that falls in the vicinity are Kalighat, Rabindra Sarobar & Tollygunge (Now Mahanayak Uttamkumar). Also, an upcoming metro railway project connecting Joka to Mominpore will boost the further connectivity of the region. Since, Diamond Harbour Road (a part of NH 117) passes through the place, the dwellers can easily access all the important parts of the city with no hassles. Through this stretch the inhabitants over here can easily spend an exciting day out or a weekend tour at Diamond Harbour, located in the Southern suburbs of Kolkata. Admired with the serene riverside, it is a place with historical value that savors the other natural beauty. Diamond Harbour attracts the tourists all over the year from every part of the country. Apart from Diamond Harbour Road, the locality also houses Alipore Road, Belvedere Road, Baker Road, Judges Court Road, Burdwan Road, New Road, National Library Avenue, Penn Road, Alipore Park Road, Ashoka Road, Raja Santosh Road and Ronaldshay Road as an add on for the residents to travel to their destinations at ease. Ideal Real Estate 36 years, 5,200 happy families. Established in 1982, the IDEAL Group has been building dream homes for thousands of happy families. Over the years, Ideal has gained the trust of its loyal customers by offering them high quality, comfortable homes as well as efficient commercial properties. 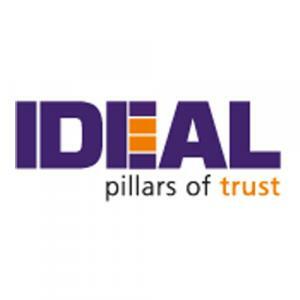 Headquartered in Kolkata, Ideal as a group has a pan India presence through its network of offices and business verticals. In the realty sector, having successfully completed several high-end real estate projects and with several more benchmark projects in the pipeline, the company has been transforming the skyline of Kolkata phenomenally. Thousands of satisfied customers and their trust in Ideal As one of the leading players in the real estate market, Ideal endeavours to truly embody its tagline "Pillars of Trust" through its rich portfolio of world-class ready to move in, ongoing and upcoming real estate projects. More than 50 lakh sq. ft. of IGBC certified/ pre-certified Green Projects Upholding the Group’s vision of creating value through sustainability, Ideal Real Estates Pvt. Ltd. takes pride in the Green buildings it continues to construct across various prominent and upcoming locales in Kolkata. Ideal has to its credit more than 50 lakh sq. ft. of IGBC certified/ pre-certified Green Projects. Catering to today’s environment conscious generation, Ideal’s green-certified properties are not only constructed using eco-friendly building materials and technology, but also offer features such as water harvesting infrastructure, solar panels and waste composting among others for continued sustainable living.